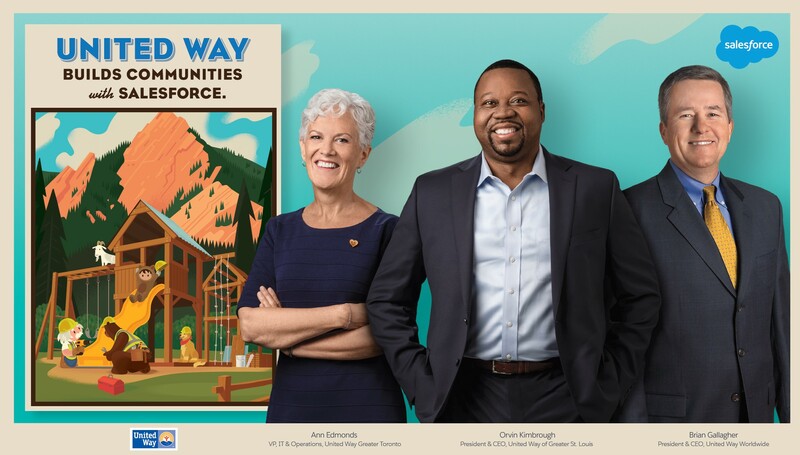 At the 2018 Dreamforce Conference this week, United Way and Salesforce shared a vision for how we’re working together to help companies and employees translate passion into real change. Watch here (or on YouTube) to discover what inspired United Way President and CEO Brian Gallagher to dedicate his life to United Way, and to learn more about how we are partnering with Salesforce.org to connect companies and employees to the causes that matter to them through Salesforce.org Philanthropy Cloud. This transformative digital platform marries the innovative technology of Salesforce with the volunteer network and community experience of United Way. Learn more and join us at unitedway.org/philanthropy-cloud.